As usual, Joyce hands us charm and wit as well as insights into the types of things that ordinary people experience every day. This combination is what made Joyce’s readers fall in love with Harold Fry and Queenie Hennessy as well as her characters in Perfect. Hers are are the types of characters that evoke honesty and reflect the reality of the mundane. At the same time, they surprise us with just how extraordinary they these simple people can actually be. Yes, that may sound like an oxymoron, but that is Joyce’s stock in trade. This idea is similar to what John Irving employs, but without the addition of absurdities (and endless digressions leading to more tangents) added to the mix. As I mentioned above, these stories are all very cleverly connected. For example, there’s a red coat noted in the story “The Boxing Day Ball,” and that same type of 1960s red coat shows up on a woman in adverts noted in a few of the modern day stories. Another example is how Binny’s boyfriend Oliver in the first story ends up as the protagonist/narrator of the last story. Joyce also gives us a group of men dressed as Santa showing up in a few of the stories. Joyce ingeniously weaves these ties into her stories to be just subtle enough as to be noticeable, without becoming blatantly obvious. This, combined with Joyce’s tender and almost simplistic writing style brings each these stories to life. Furthermore, although we could easily read any these tales on their own and in any order we choose, the adept compilation makes this book feel almost like a novel. I should note that as much as I enjoyed these stories, I’m not completely convinced that the short story is really Joyce’s best venue for her talents. While Joyce gives us very sympathetic characters in each story, I sometimes felt that she didn’t have enough time to develop them so that we could truly fall in love with them. I felt this most with the story “I’ll be Home for Christmas,” where just as we are starting to feel something for both Sylvia and her son, the story ends. In addition, I was somewhat confused by the story “The Marriage Manual,” with its inclusion of some magical-realism that didn’t sit right with me. Despite these small drawbacks, what Joyce gives us here is a delightful collection that reminds us that no matter how normal or ordinary our lives may seem, if you look in the right places, there are always some small miracles to be found. It seems to me that this message of hope is an appropriate theme for Christmas (or any time of celebration, for that matter), which even non-Christians (like me) can appreciate. This is why I’m going to recommend this book with a very strong four and a half stars out of five. 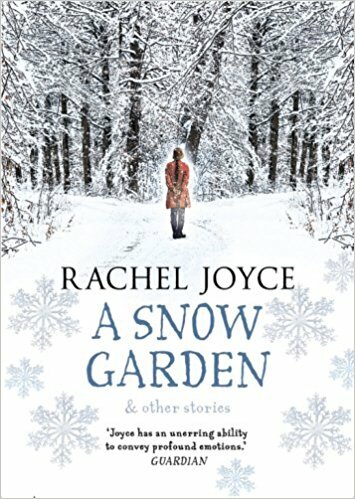 “A Snow Garden & Other Stories” by Rachel Joyce is available (via these affiliate links) from Amazon US, Amazon UK, eBooks, iTunes (iBook or audiobook), The Book Depository (free worldwide delivery), as well as new or used from Alibris and Better World Books. Previous Post Guest Post: Co-Authors Anne Rothman-Hicks and Kenneth Hicks.